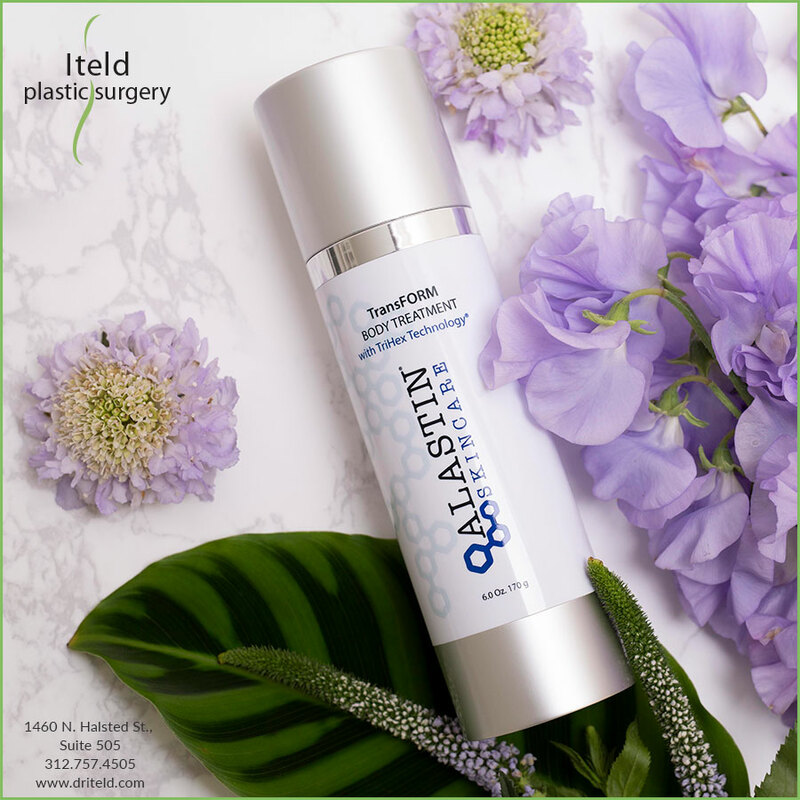 If you’ve been following us on social media or been in our office lately, you know we proudly offer ALASTIN Skincare products. Sure, there are lots of other products on the market, and you can go to various beauty supply stores and cosmetic counters to buy other brands. But, I believe—and have seen the results—that Alastin products are far above the rest. I’m not the only one. Our patients are raving about Alastin’s products with TriHex Technology®. Moisturizers are more nourishing; anti-aging products help erase years; lost firmness appears magically restored. And now, we are extremely excited about Alastin’s TransFORM Body Treatment. The one-of-a-kind TransFORM Body Treatment with TriHex Technology® is a revolutionary topical body treatment that works in tandem with nonsurgical body fat reduction and skin tightening procedures to complement and optimize results. When applied after your CoolSculpting or Profound treatments, it helps to accelerate outcomes by supporting the body’s natural repair processes while also supporting the production of elastin and collagen. And, if that isn’t enough, you can use TransFORM as a stand-alone skin tightening treatment to address lax, crepey skin texture associated with aging. Can you say “WOW!” because that’s what patients keep saying. ALASTIN Skincare found a solution to a need previously unmet with TransFORM Body Treatment, which has become an important part of the body sculpting protocol in my office. TransFORM aids in clearing residual broken-down fat debris in the treated area and also helps recondition crepey loose skin. We’re hearing from patients that they continue to use it long term to maintain improved skin texture. Don’t just take my word for it — NewBeauty just awarded Alastin’s TransFORM Body Treatment the 2019 NewBeauty Award Winner in its Innovations Category. This is a significant acknowledgment of TransFORM’s effectiveness. NewBeauty selects the best products, treatments and trends in cosmetics and aesthetics with its innovation category described as “the future is now: these no-frills releases do what was previously only a dream.” TransFORM Body Treatment was chosen among a competitive landscape of leading aesthetic companies and is the only cosmeceutical skincare product selected in this innovation category. Which Alastin products are right for you? It’s all about choosing the right products for your specific skincare needs. Contact my staff at info@driteld.com or call 312.757.4505 to find out which Alastin products will work best for you.